More than 150 educators from all segments of the profession - including K-12 teachers, researchers, service providers, government agencies, and corporations - gathered together July 7-10 for the National Network for State Teachers of the Year Annual Conference at the Little America Hotel in Salt Lake City, Utah. The conference's theme -Transformers: Innovating Education - showcased the latest teaching innovations and leadership skills, and provided best practices and networking opportunities with leading educational experts from around the country. Participants - which included more than 90 State and National Teachers of the Year and Finalists from 30 states, the Northern Marianas Islands, and the U.S. Virgin Islands - enjoyed an exceptional four days of learning, solution sharing and peer networking. 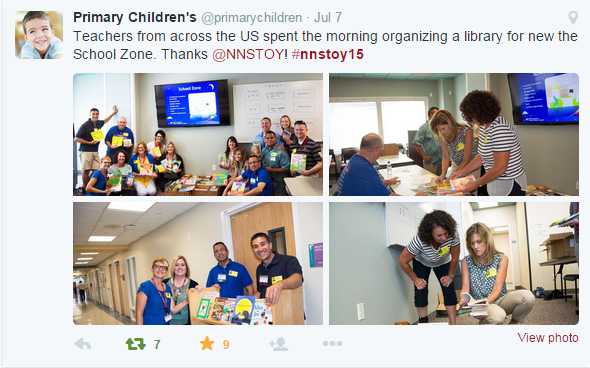 The STOYs and other participants played an active role in telling the story of the conference by "live tweeting" more than 1,500 times during the four days. Facebook was busy as well, with more than 400 people "liking" and commenting on the status updates. In addition, conference goers participated in a preliminary EdCamp during NNSTOY's "Unconference" on the last afternoon of the conference, joining sites around the world. "This conference was powered by collaboration and was successful because of the commitment of the participants to create a powerful experience for themselves and fellow participants," said Katherine Bassett, CEO of NNSTOY and the 2000 New Jersey State Teacher of the Year. 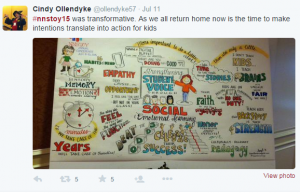 "We know that students are more successful when they are taught by educators who also are focusing on improving their practice of teaching and learning, and the NNSTOY Annual Conference lets us learn together while working on authentic issues around teaching, learning, equity and excellence." 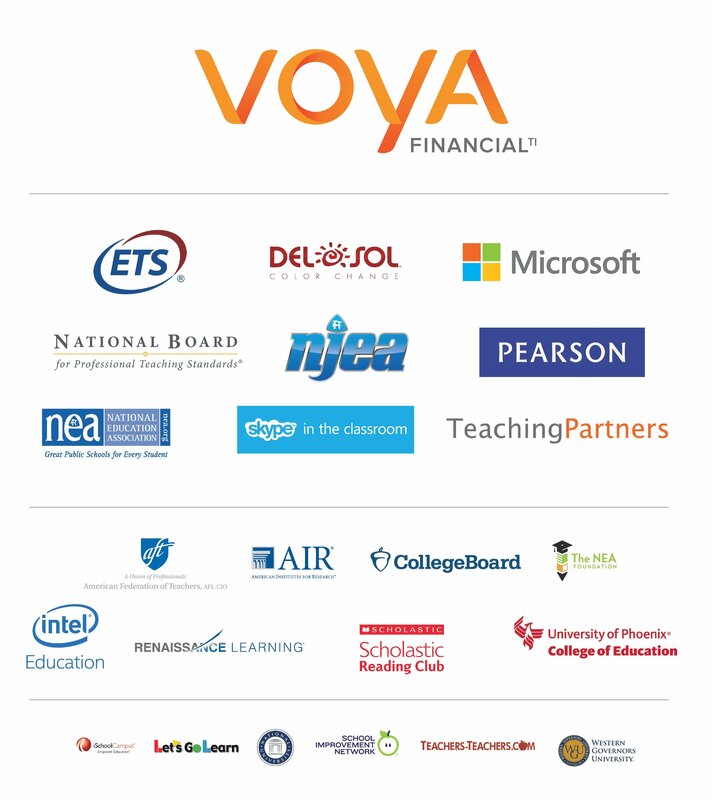 NNSTOY had an unprecedented number of sponsors for this year's conference and would like to thank all of the 2015 conference partners and sponsors for their assistance and support. 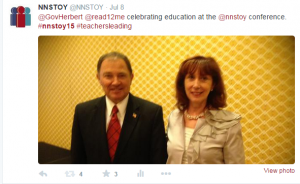 "The NNSTOY 2015 conference sponsors are an invaluable part of our success," Bassett said. "Their support helps us generate the palpable energy of the conference while keeping registration prices low. Without our sponsors, our annual conference would be impossible." One sponsor, Kenneth Nielsen from the University of Phoenix, stated, "NNSTOY is an amazing organization. This is without a doubt one of the finest conferences I have attended during my 35-plus years in the education profession. 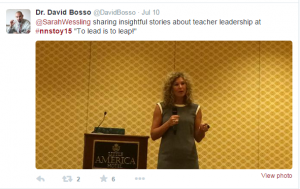 I left the conference renewed and energized at the prospects for our profession. Thank you for your wonderful leadership!" There were more than 25 educational sessions, 40 presenters, and eight speakers and keynote speakers covering the four strands. A sample of some of the speakers included Eric Sheninger, Pernille Ripp, Rick Hess, Terry Thoren, Sarah Brown Wessling, Shanna Peeples and John King, senior advisor to the U.S. Department of Education. Those who welcomed NNSTOY to Utah were Governor Gary Herbert; Lily Eskelson Garcia, President of the National Education Association and the 1989 Utah State Teacher of the Year; andSharon Gallagher-Fishbaugh, President of the Utah Education Association and the 2009 Utah State Teacher of the Year. "We were delighted to welcome the most dynamic speakers in education in this one-of-a-kind effort to roll up our sleeves and tackle some of the biggest issues in education," said Bassett. 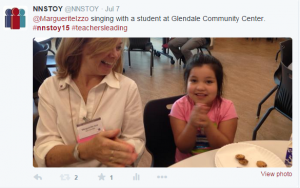 "The NNSTOY Annual Conference is truly an unprecedented opportunity for the entire profession to come together and move the needle forward for student learning and a 21st century education." Board elections took place after lunch on Thursday. 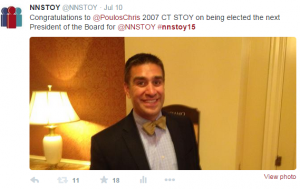 Two new board members were added and four board members were reelected.Christopher Poulos, the 2007 Connecticut State teacher of the year, was elected as President of the Board. "I am honored to serve as president of the board for NNSTOY," Poulos said. 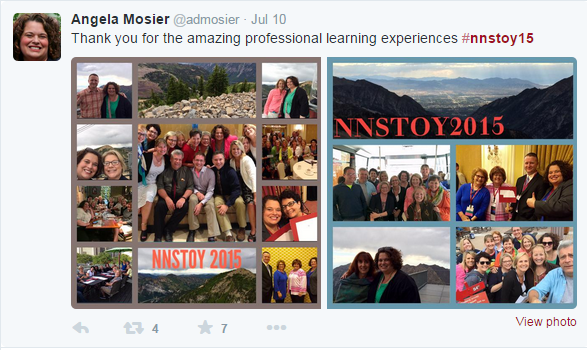 "Throughout my career I have valued the leadership and support that NNSTOY provided to the nation's teacher leaders. 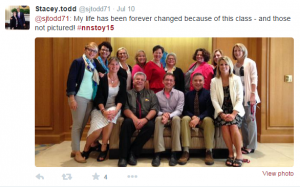 I look forward to serving in this role at such an important time in the history our educational system." The new board members and the other reelected board members are. 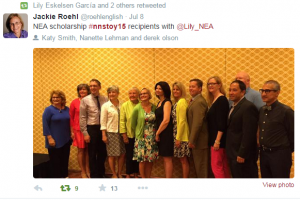 "The NNSTOY Board of Directors' members donate thousands of hours of time annually in governing our organization," Bassett said. "Their time and talents are intensely valuable to our organization and all of us at NNSTOY are most grateful to these incredible individuals for their commitment and service to NNSTOY." Sessions continued through Friday. The Exhibitors Hall was open each day to allow attendees to browse and discuss new products and innovations with vendors. There were many highlights, outside of the daily sessions, including a welcome reception on Tuesday night to officially kick off the conference; an art exhibit on Wednesday from the students of East High School in Salt Lake City; a Wednesday night reception that featured a local student Bluegrass band and a DJ whose music had almost the entire membership on the dance floor; and a Thursday evening trip to Snowbird - a ski and summer resort with a gondola that takes visitors to the peak of the resort. 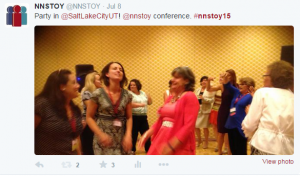 So, what will NNSTOY do to have a conference more fabulous than the one that just ended? There's only one way to find out. Join us next year in Chicago! 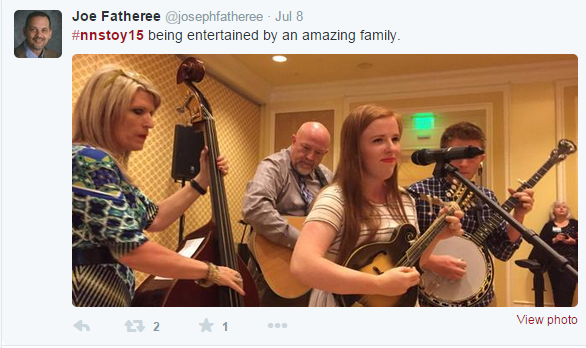 The date has not been set yet, but the time frame will be July 10-14, so mark your calendars now! 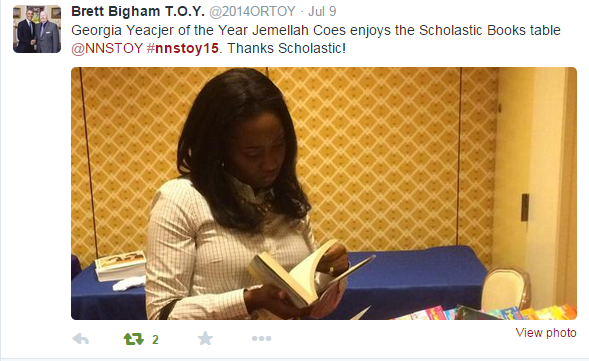 Be sure to regularly check all of our communication portals about forthcoming information for next year's conference, and for any other NNSTOY information. And keep those tweets and Facebook posts alive and energized about the conference and what you've learned and shared. The collaboration doesn't stop! Don't forget to use the hashtag #nnstoy15 when you tweet about the conference and #teachersleading when tweeting about general interests. Thank you for supporting the NNSTOY Conference in Salt Lake City. Chicago, here we come! Thank you to our NNSTOY Conference Sponsors!